Holding schools accountable for student performance based solely on educational outputs has proven to be challenging and nowhere near as effective as policymakers had hoped it would be. Accountability in the future will likely be more of a partnership between the state and local schools and will include more dimensions and measures than a single test in reading and mathematics. 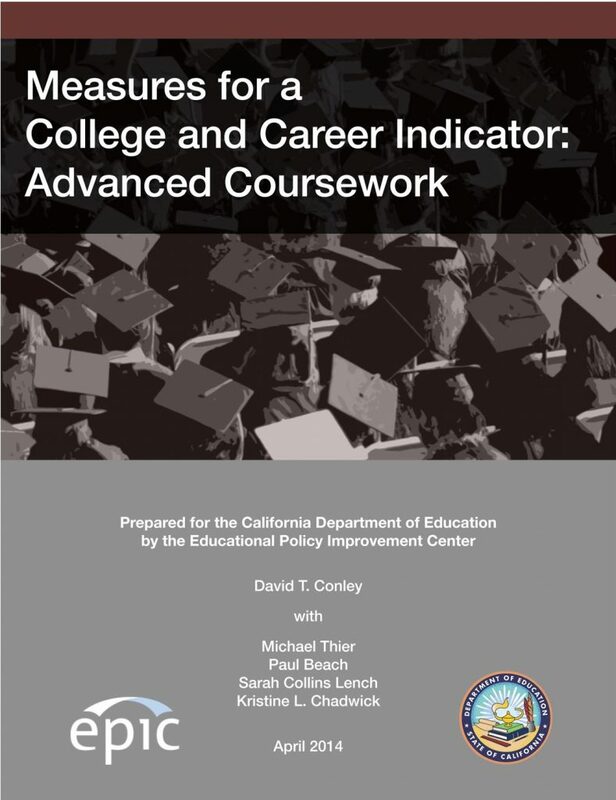 The college and career indicator that is being added to the API is a small step in that direction, but much more work will remain to be done to create an accountability system that leads to sustained improvement of educational practice and not just a postmortem perspective on current practice. Linda Darling-Hammond, Gene Wilhoit, and Linda Pittenger (2014) lay out a new approach to accountability for learning in which all parties—students, educators, and policymakers—share the accountability burden. 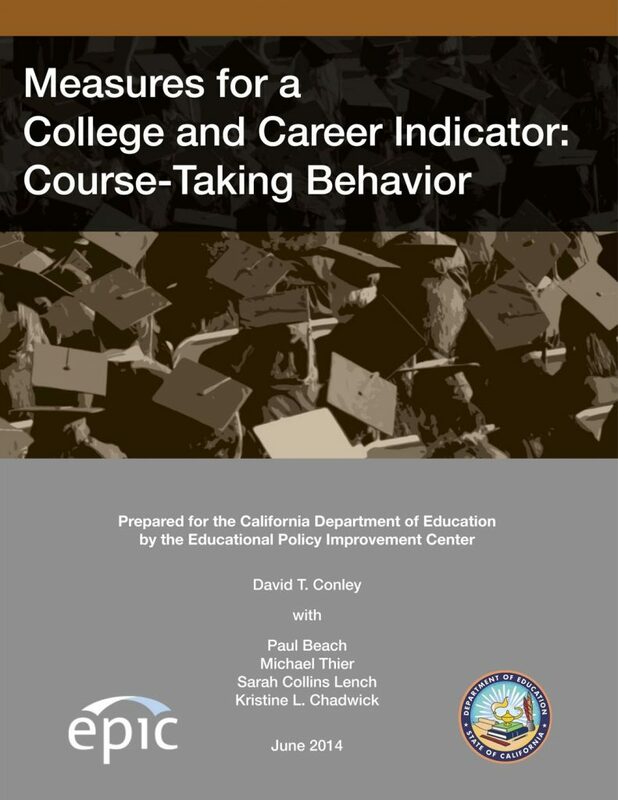 It is based on measures of what the authors describe as “meaningful learning,” combined with measures of the professional capacity of staff to deliver meaningful learning to all students and indicators of resource adequacy sufficient to hold educators and students accountable for achieving state goals. 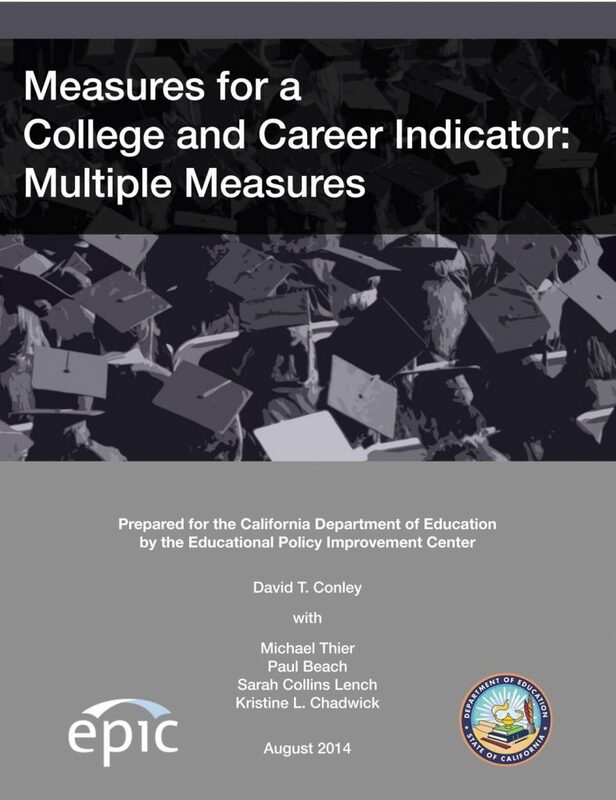 This notion goes well beyond a multimeasure API, but at its heart it is based on the notion that multiple measures are key to ensuring that the type of learning that is being encouraged is what students need in order to be prepared for college and career. Resource allocation includes allocating adequate resources to schools, but also entails the responsibility of schools to offer high-quality curriculum and instructional materials to all students and to ensure that all teaching staff are properly prepared to meet student needs and continuously add new skills. 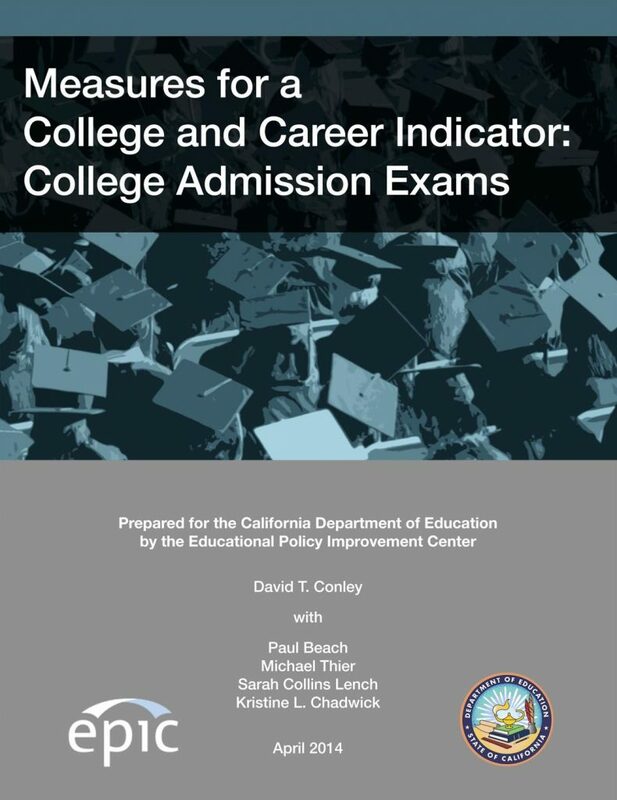 Including a college and career indicator in the API is a positive first step in the process of expanding notions of accountability beyond scores on reading and math tests. It is, however, only a first step. 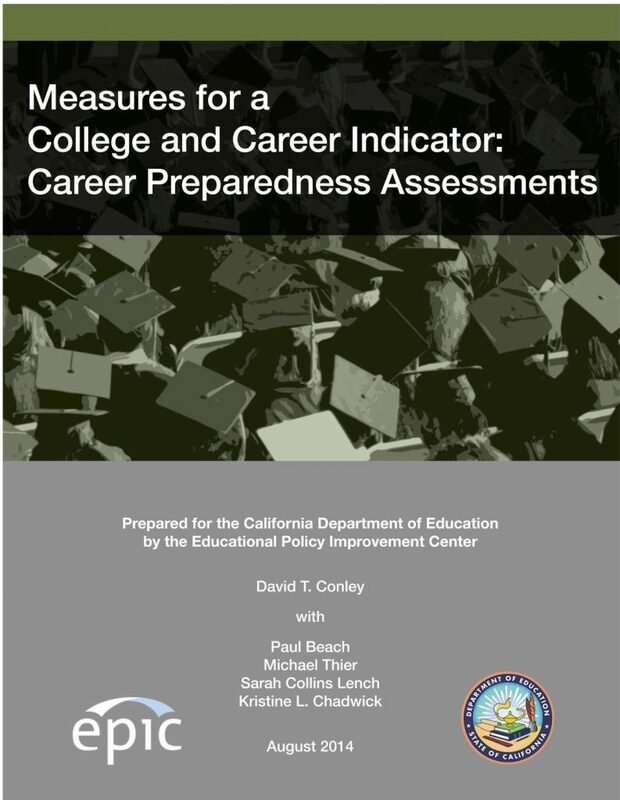 As the deliberations of the Public School Accountability Act Advisory Committee illustrate, it is not a simple task to identify one indicator from among perhaps a dozen possibilities, each of which hold the potential to offer insights into college and career preparedness, but not necessarily the same insights for all schools. 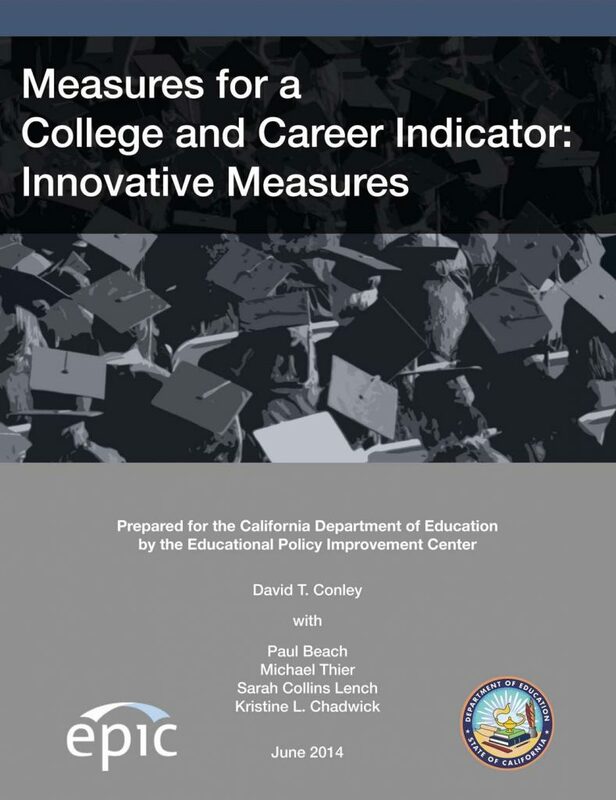 When searching for accountability elements, the desire for simplicity needs to be balanced against the complex and dynamic nature of schools as systems and the tremendous variation among California’s schools in terms of the make-up of their student population and the values and priorities of the local communities. While all students need to meet key baseline performance measures in which the state has a strong and clear vested interest, success for most students will be defined by a wider range of factors, many of which will be determined by the decisions local educators make regarding the programs and opportunities they choose to offer, their efforts to continuously improve their curricular and instructional programs, and the support services they provide to their students and community. 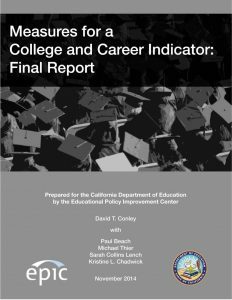 This broader, more expansive notion of an effective school will require a larger toolbox of measures and the ability to have some of those measures selected locally if accountability is ever to be owned fully by educators and result in the type of schools policymakers and the public want and expect. Authors: David Conley, Paul Beach, Michael Thier, Sarah Collins Lench, and Kristine Chadwick.